Around 22.3 lakh ballot units, 16.3 lakh control units and nearly 17.3 lakh VVPATs or paper trail machines will be used for the 2019 Lok Sabha polls. 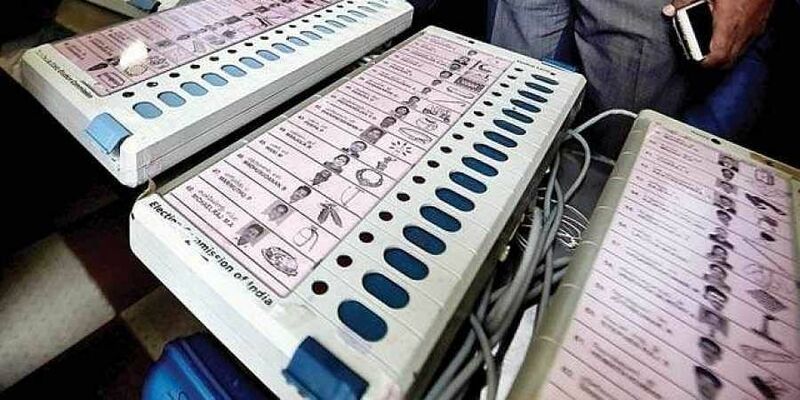 NEW DELHI: The two public sector undertakings tasked with manufacturing the latest M3 type electronic voting machines to be used in next year's Lok Sabha elections have delivered the lot comprising nearly 22.3 lakh ballot units and 16.3 lakh control units to the Election Commission, a senior EC official said. Around 22.3 lakh ballot units, 16.3 lakh control units and nearly 17.3 lakh VVPATs or paper trail machines will be used for the 2019 LS polls. The number of machines includes the buffer stock for training as well as replacements. The M2 or mark 2 type EVMs (2006-10) can cater to a maximum of 64 candidates including NOTA. There is provision for 16 candidates in a balloting unit. If the total number of candidates exceeds 16, more balloting units can be attached up to a maximum of 64 candidates by connecting four balloting units. However, in the case of M3 EVMs, which came after 2013, a maximum of 384 candidates including NOTA can be catered to by connecting 24 balloting units. During simultaneous elections, two separate sets of EVMs are required, one for the parliamentary constituency and the other for a legislative assembly constituency. In case of an error with the VVPAT, the machine is replaced with a reserve. But in case a ballot unit or control unit malfunctions, the entire set of ballot unit, control unit and VVPAT is replaced. Amid demands by some opposition parties to go back to ballot papers, the Commission has maintained that use of EVMs has ended the days of booth capturing and the delays and errors in the counting of ballot papers.